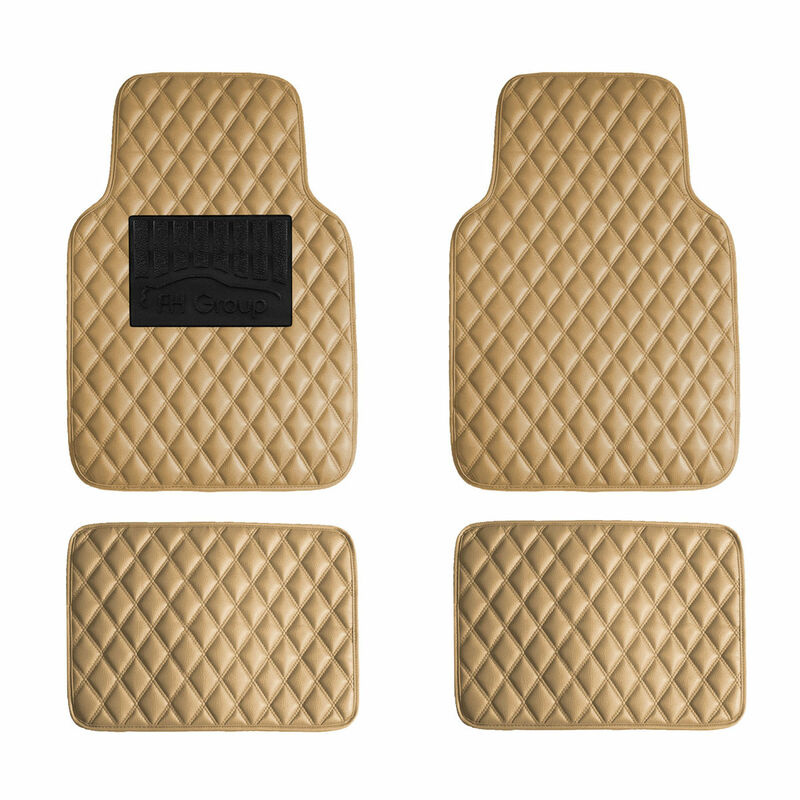 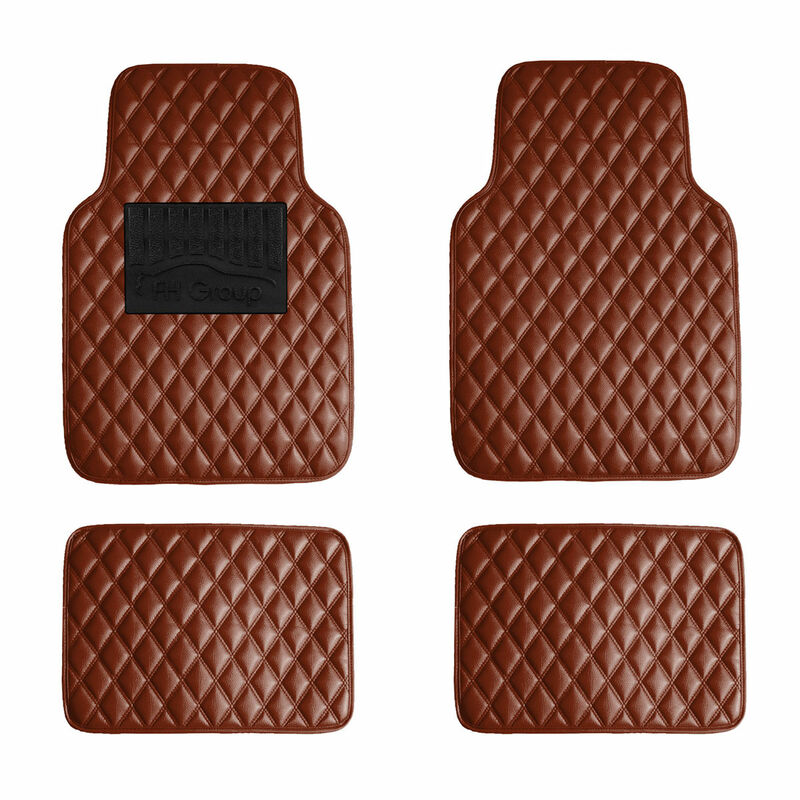 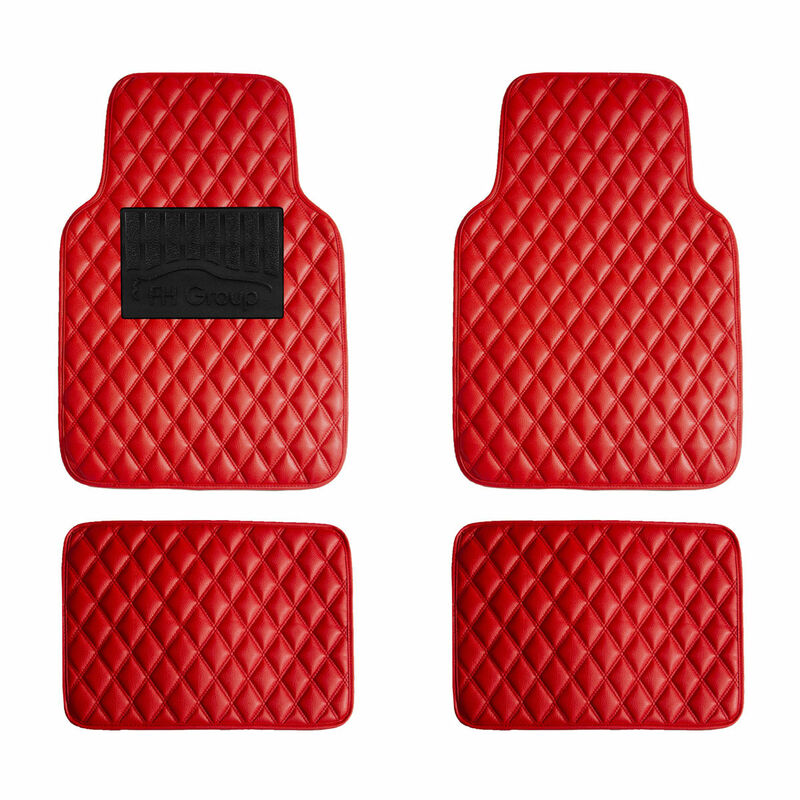 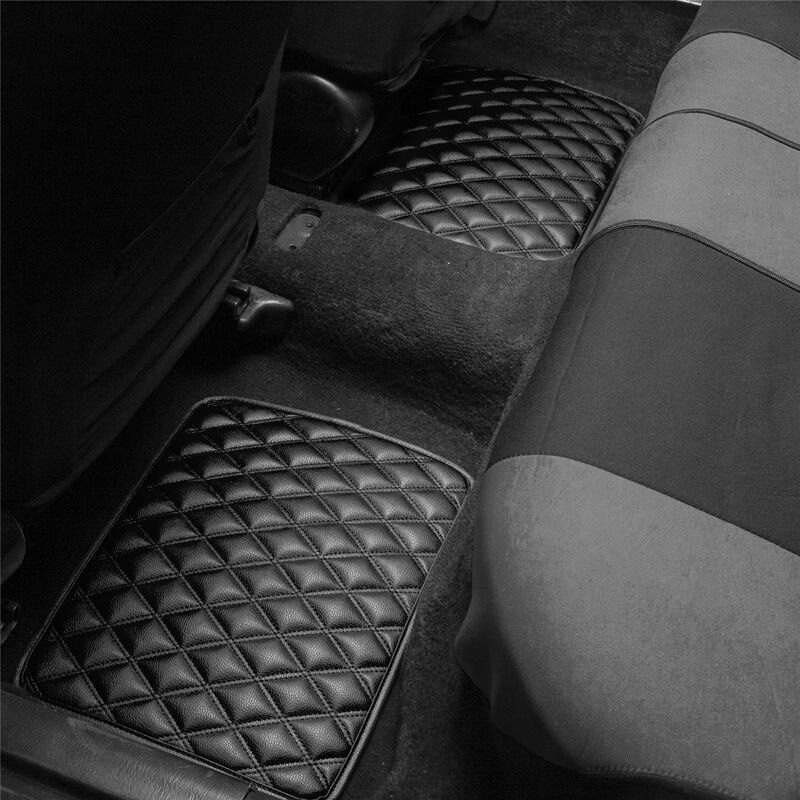 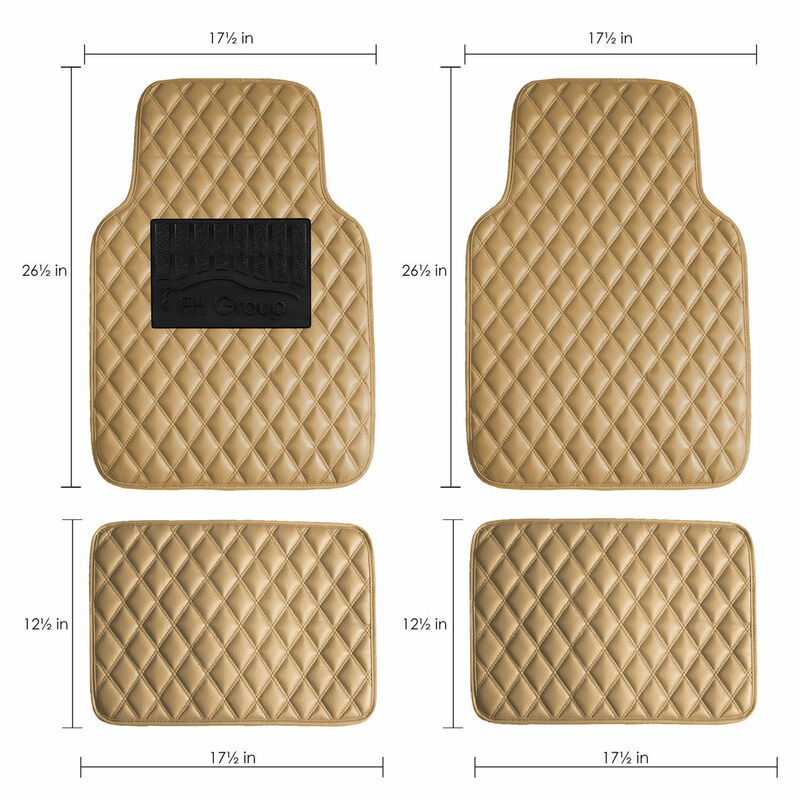 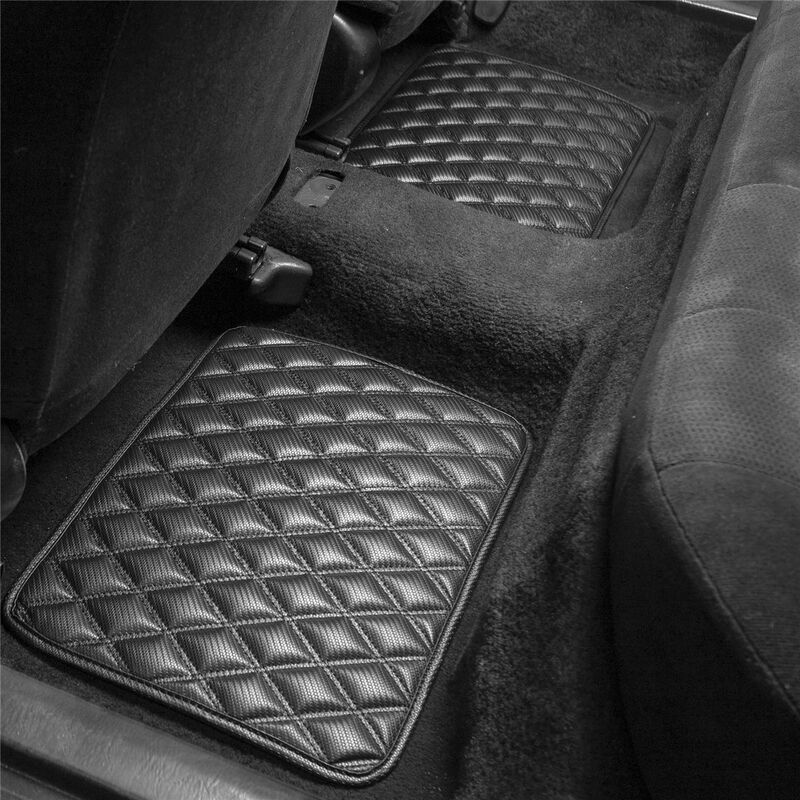 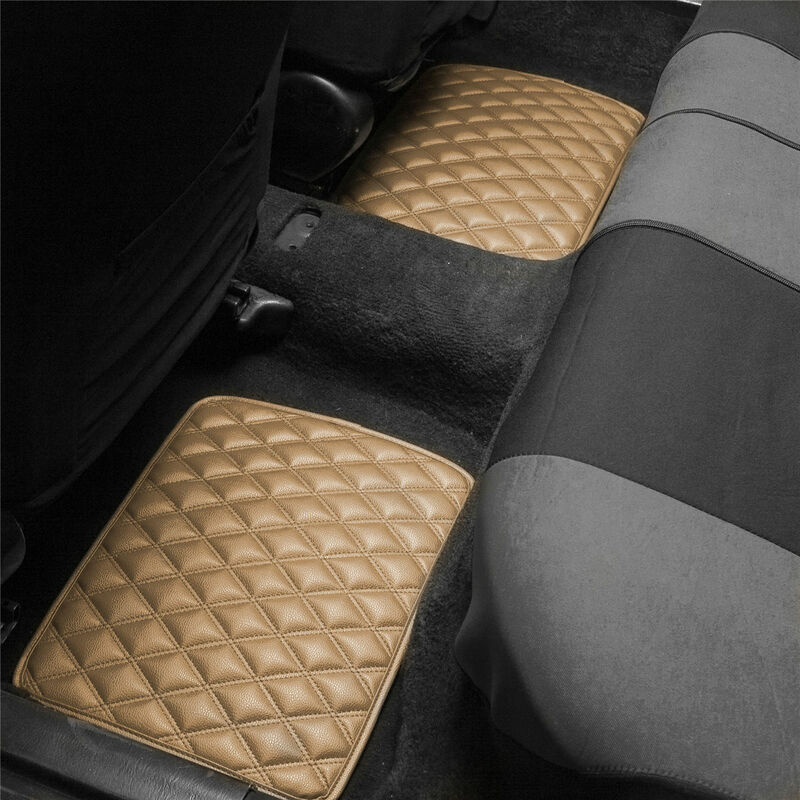 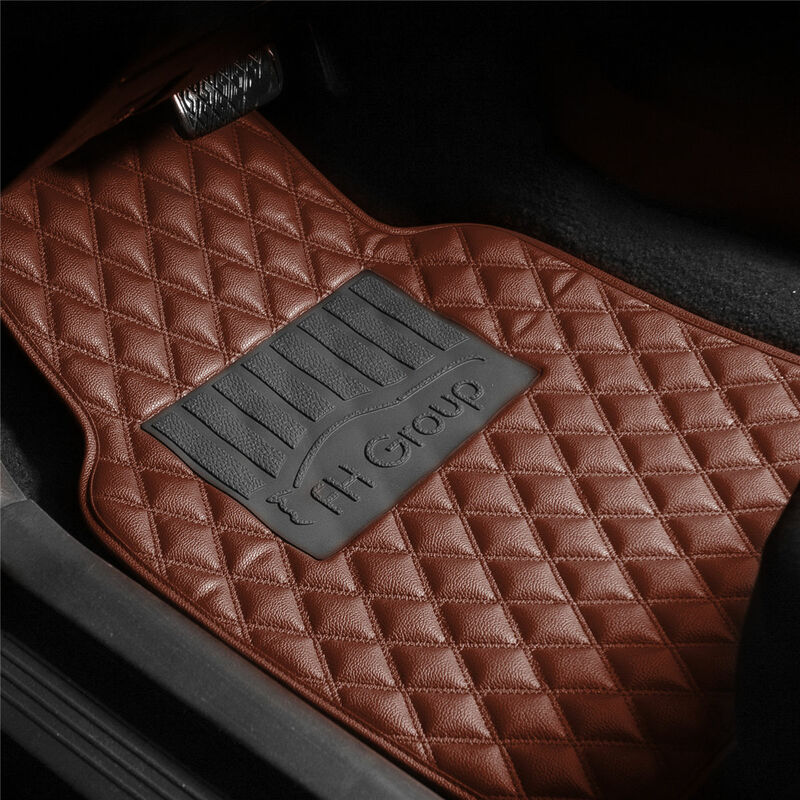 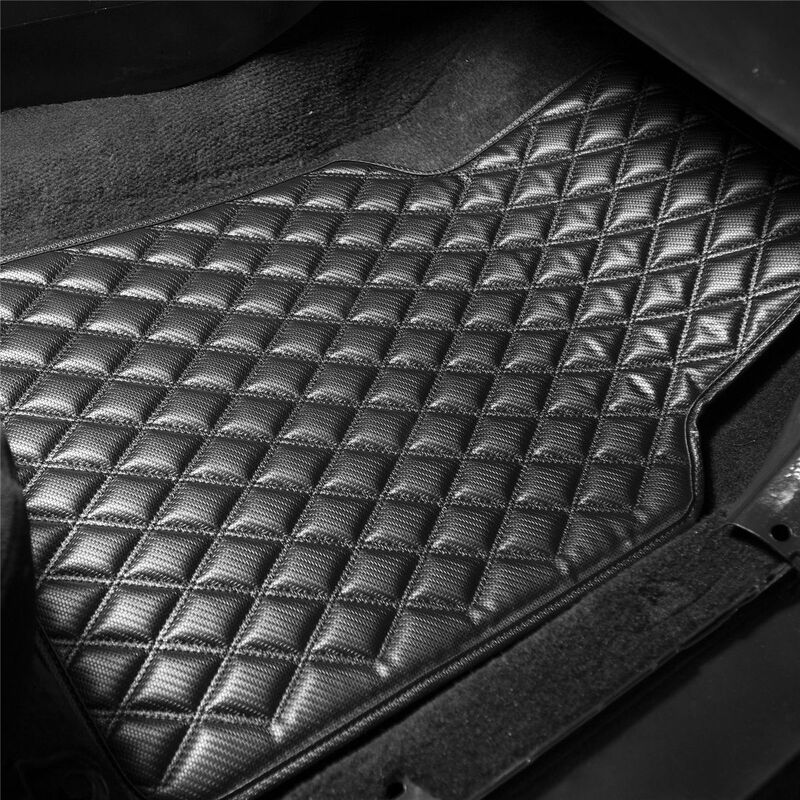 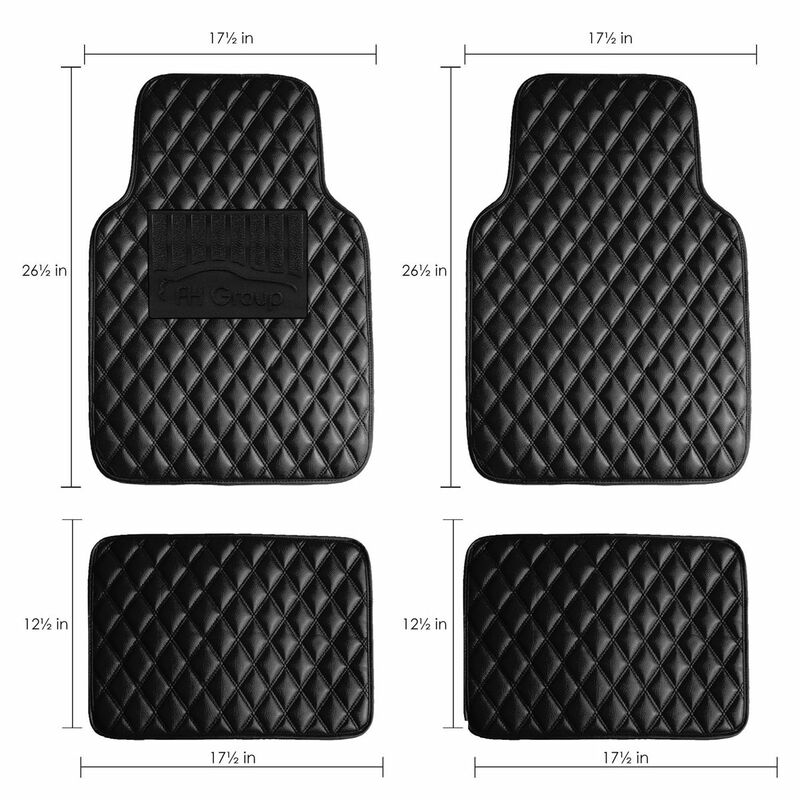 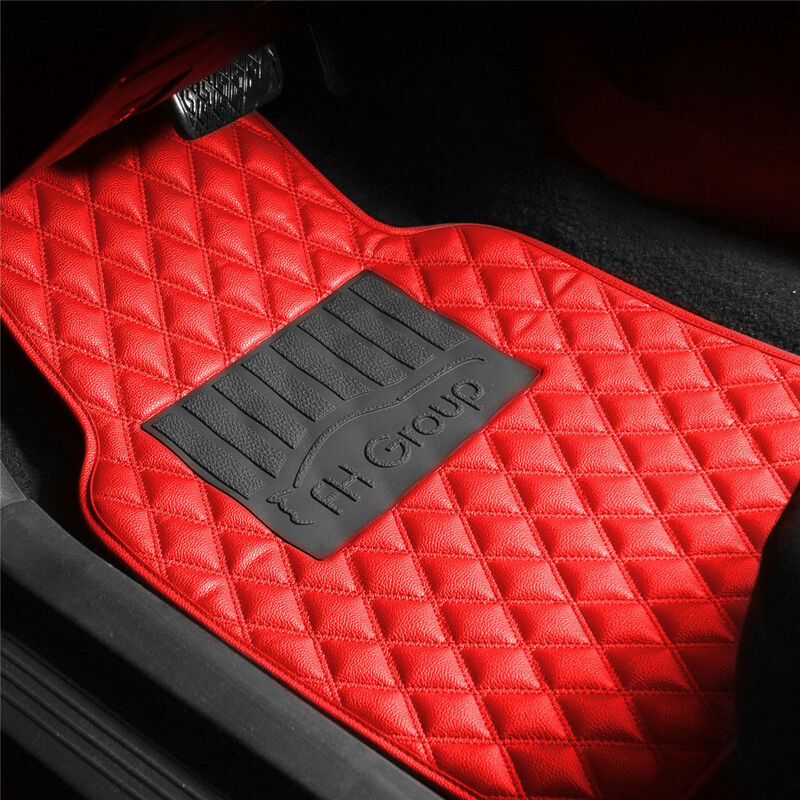 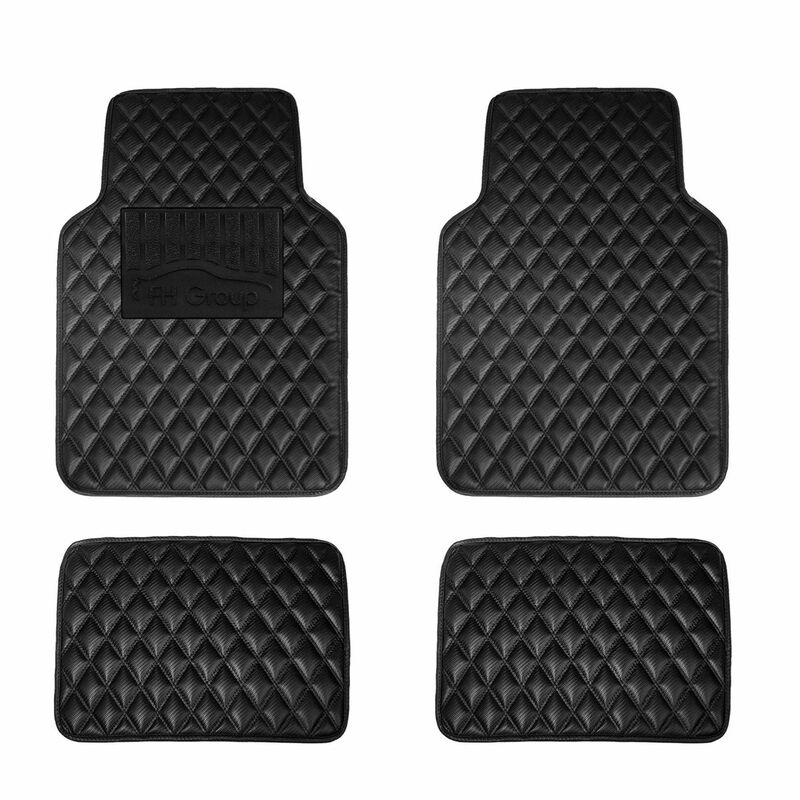 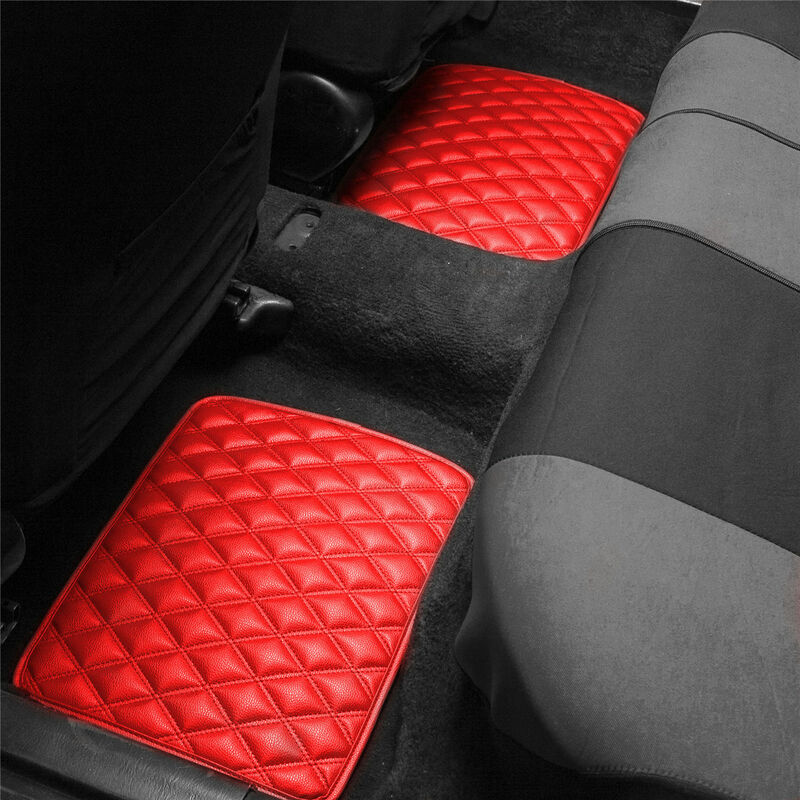 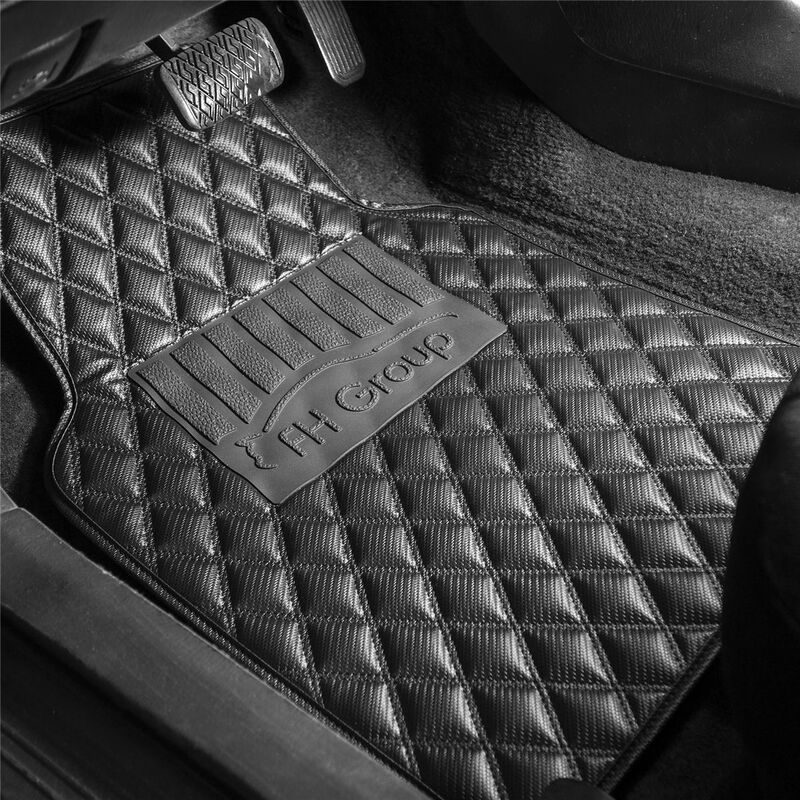 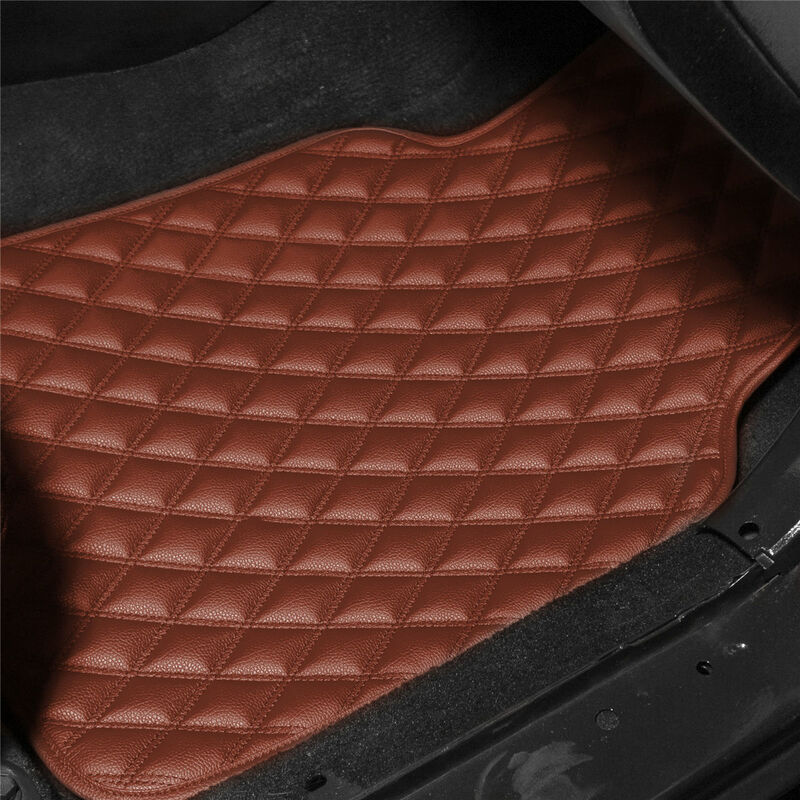 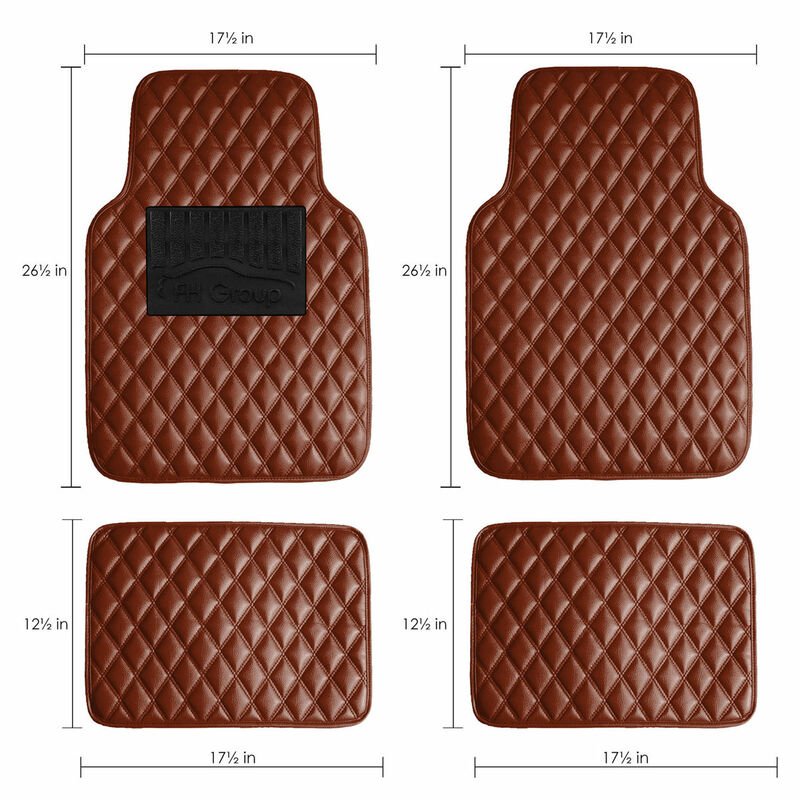 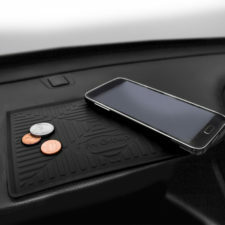 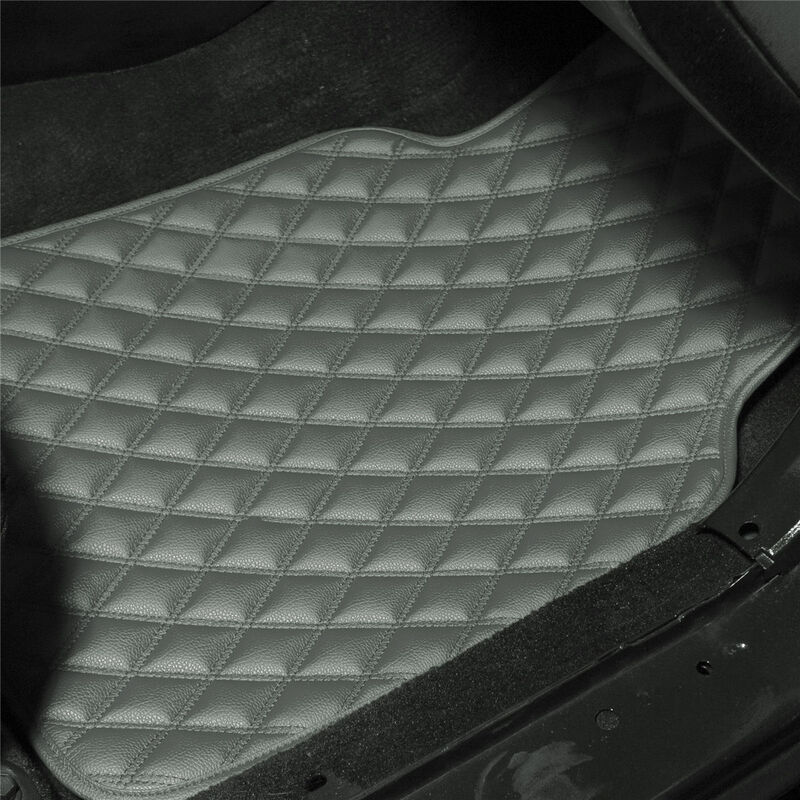 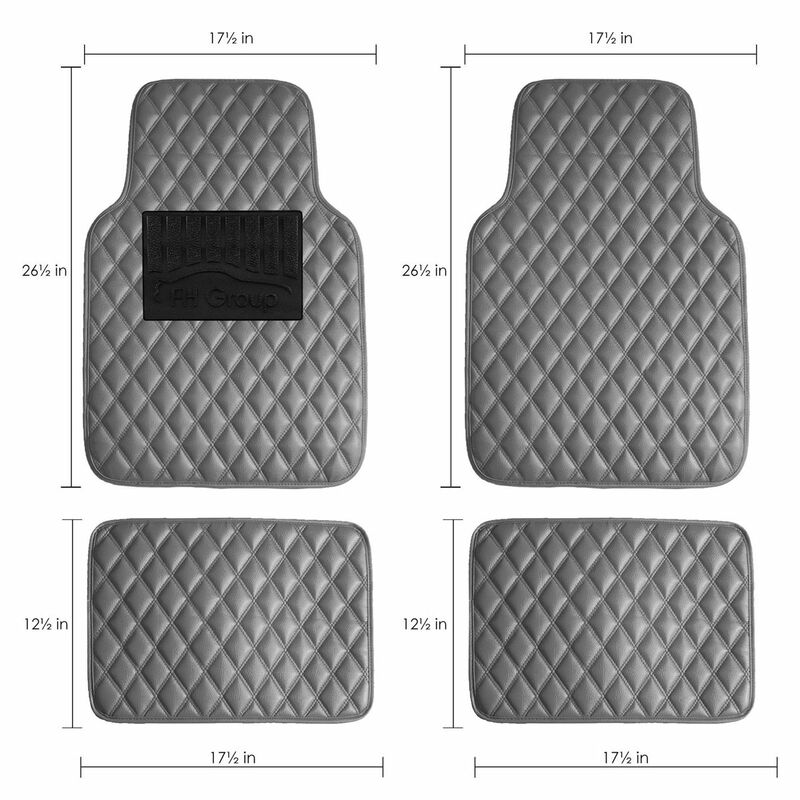 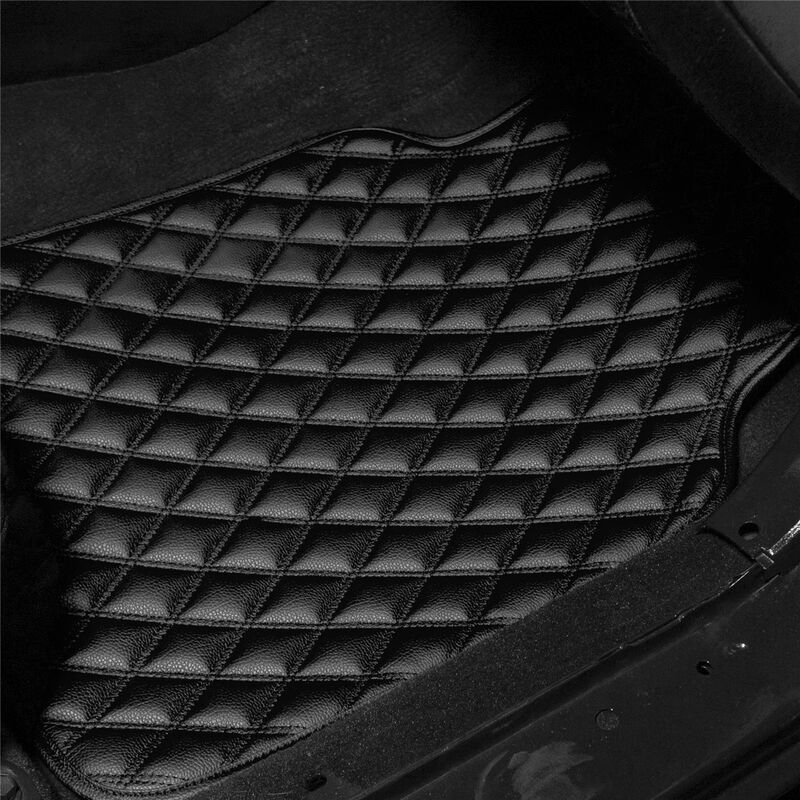 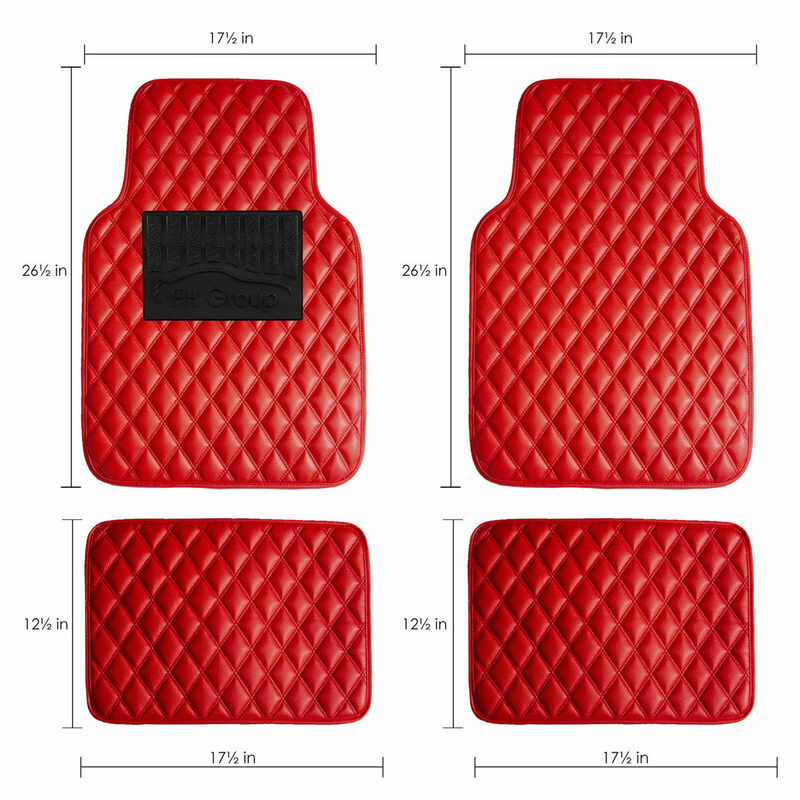 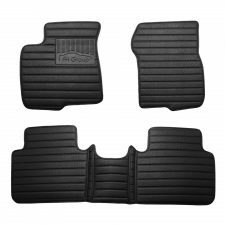 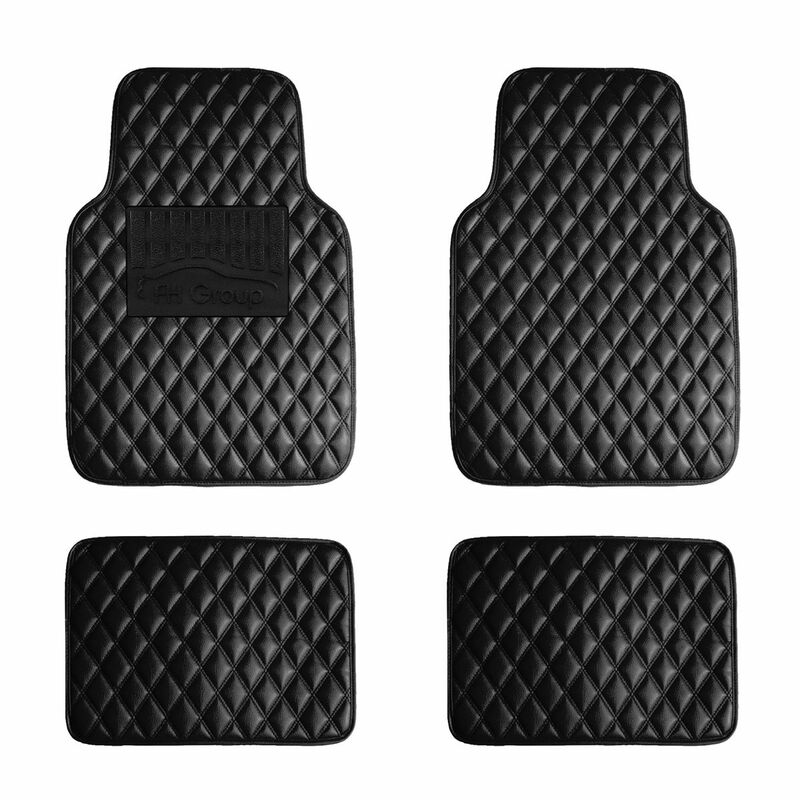 Front: 17.5" x 26.5" Rear: 12.5" x 17.5"
All weather Lightweight, waterproof faux leather floor mats effectively trap dirt, spills, water, and any mess the weather brings. 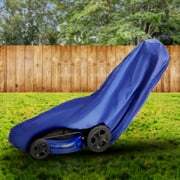 Super light and easy removal. 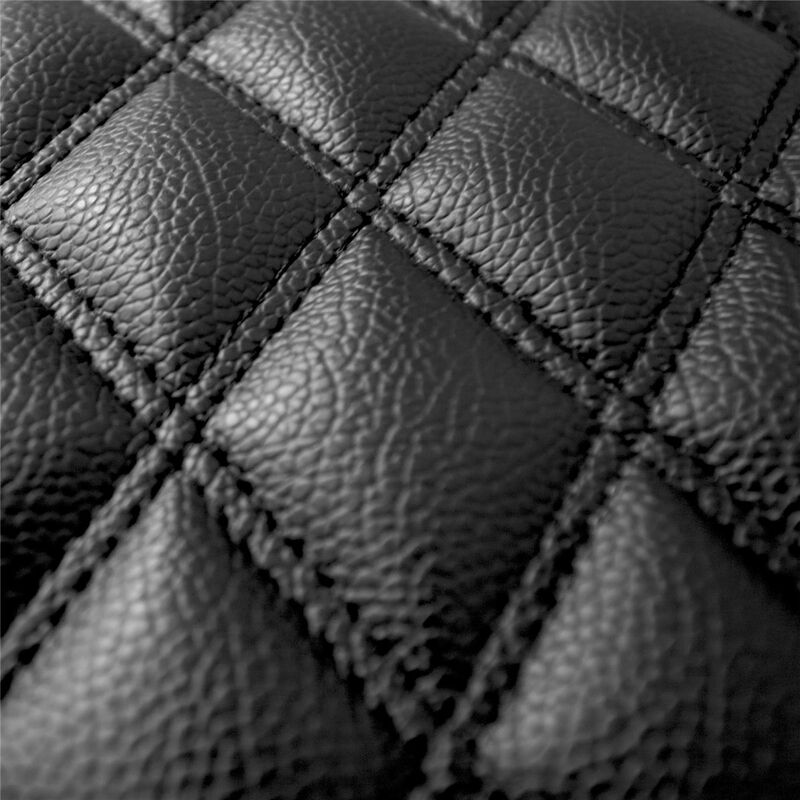 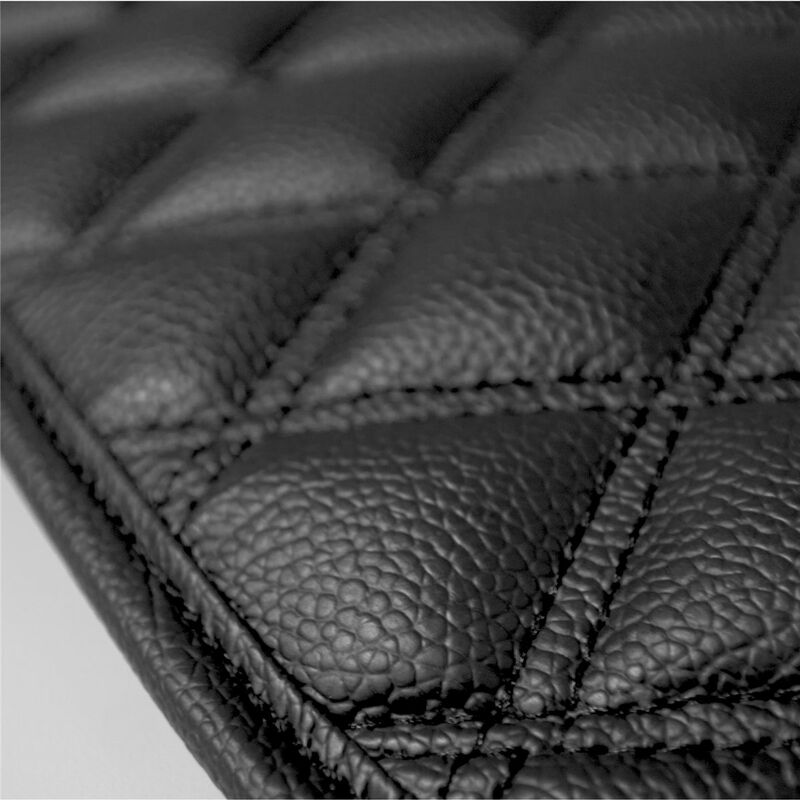 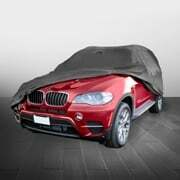 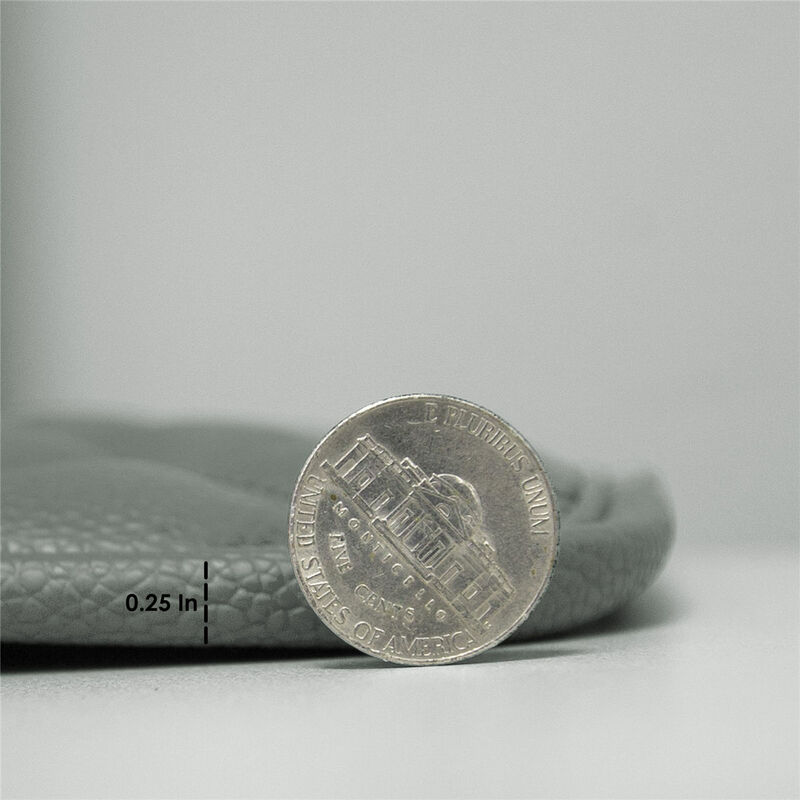 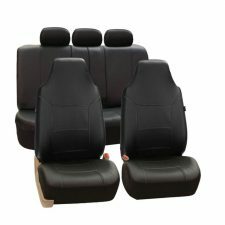 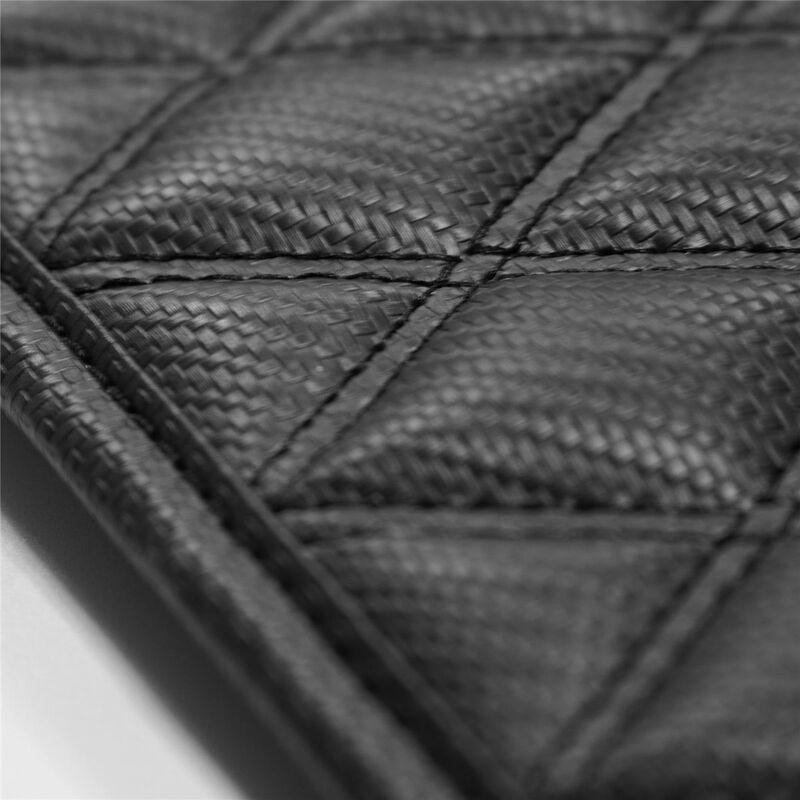 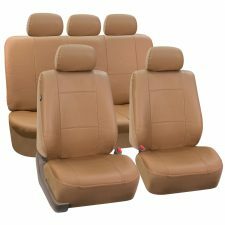 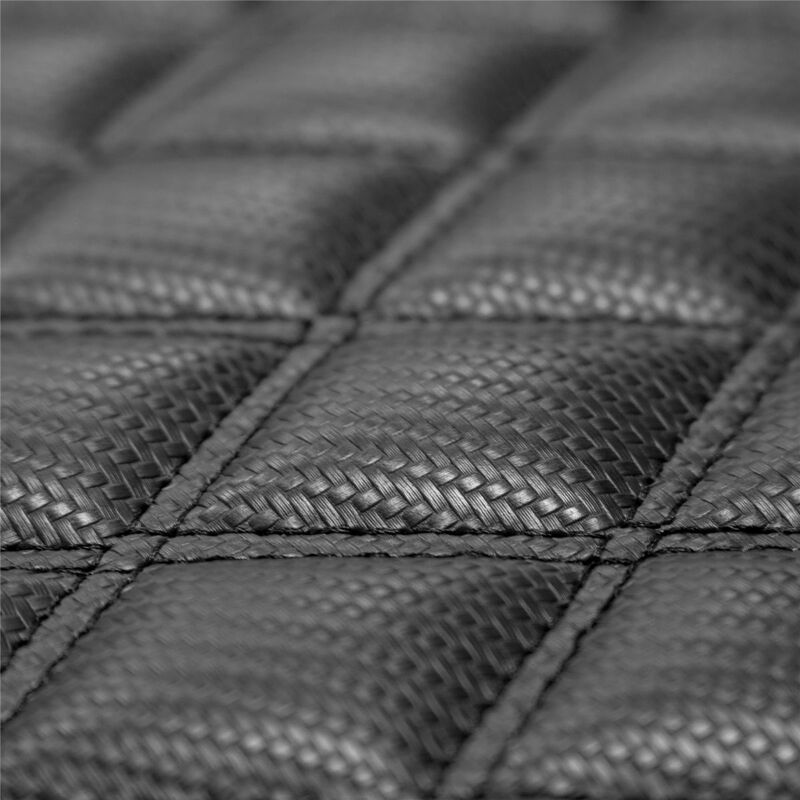 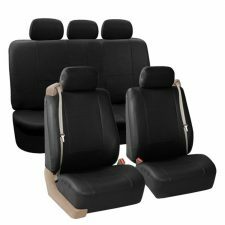 The tough Luxurious material is sturdy and long lasting.